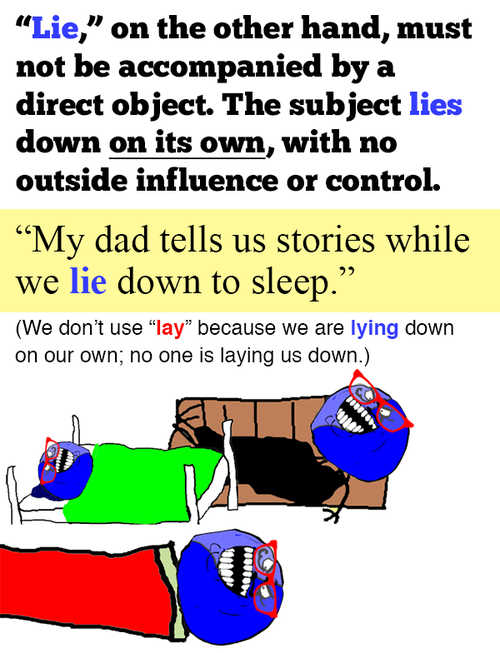 We cannot tell a lie: “Lie” vs. “lay” is confusing. Clarity lies only a few paragraphs away. The GIF of Pinocchio notwithstanding, this post will not be dealing with lie (tell an untruth). 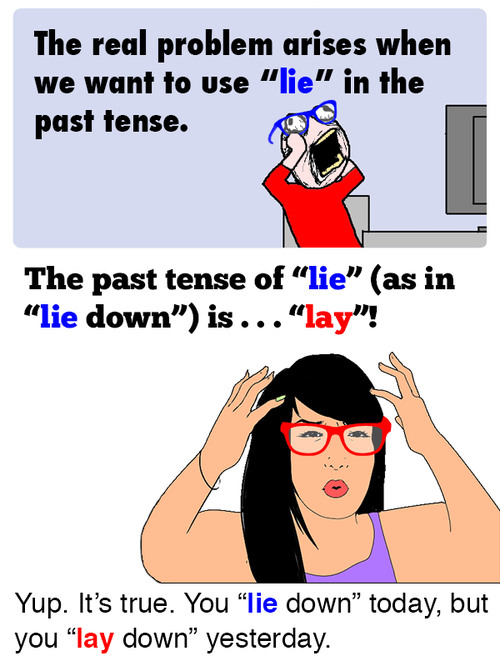 The past tense of that “lie” is simply lied. 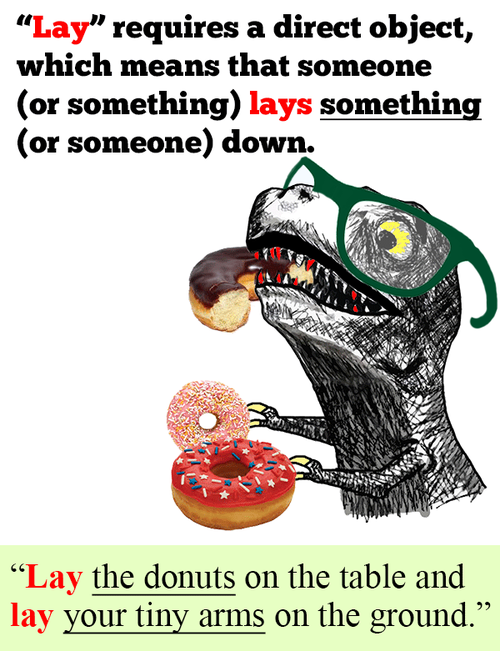 Your English teacher lied if he or she told you that it’s something else. At this point, you’re probably thinking, What’s so confusing about this? Emma laid her books on the desk and turned on her computer. Time’s up! Lay down your pencils and get back to awwing at cute animals. Charts, cartoons, visual humor and neat stuff.